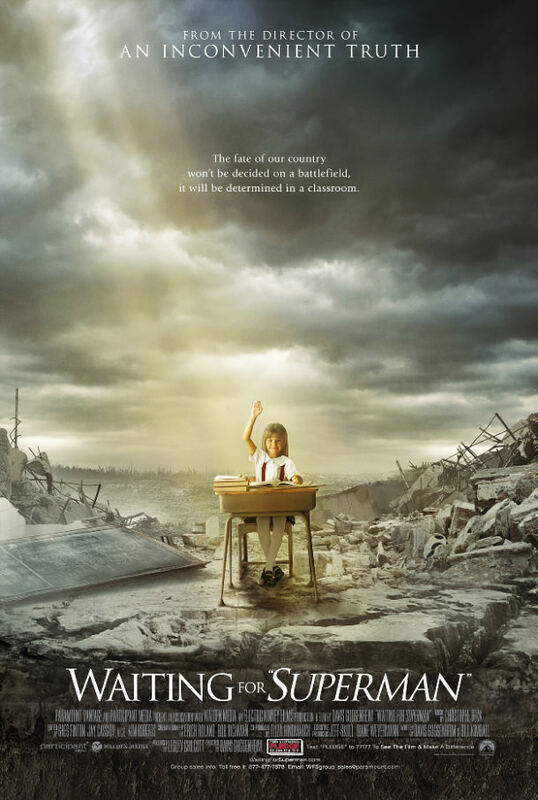 The Waiting for Superman documentary shows the failure of the American Public Education. The filmmakers follow and interview several families with children who are low-income and show how they struggle through the educational system. These parents are fighting so hard to get their children a better education so they can go to college and have a better chance in getting a good career. The film shows how the government runs the school district to choose what child gets a good education and what the school boards need to get good teachers. The documentary was directed and written by Davis Guggenheim. This film got its title from interviews with Geoffrey Canada, who when he was a child, believed that Superman would save him from being poor. This film received the Audience Award for best documentary at the 2010 Sundance Film Festival, and the Best Documentary Feature at the Critics Choice Movie Awards. Comments for Waiting for Superman / Documentary with Movie Poster are now closed.